What do those numbers mean and how to they relate to weld voltage?" Pulsed welding equipment can challenge the conventional wisdom we’ve picked up over the years using a good ol’ constant voltage (CV) GMAW (Mig) welder. With typical CV equipment, the Welder will select a voltage and wire feed speed (WFS) combination, possibly a percentage of slope and/or inductance and then be ready to weld. Today’s pulsed Mig equipment changes most of that. 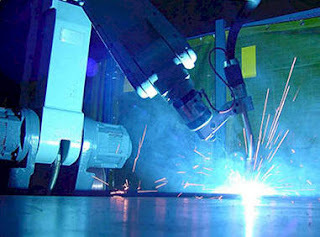 Most pulsed Mig welders run on pre-set programs. The Welder will select the type of wire, the wires diameter, possibly a base material and the shielding gas used. From this information the equipment will look at the WFS selected and do a calculation as to what the optimum weld voltage should be. Of course, this optimum voltage may need some type of adjustment depending on the needs of the Welder. Example: The optimum weld voltage to weld a flat position, 3/8 inch fillet (1F) at 475 ipm may not be optimum to weld a root pass in a horizontal groove (2G) at the same WFS. Understanding that, each manufacturer of this equipment has built-in, an adjustment for voltage. Think of it as a percentage of optimum voltage. Manufacturers may give you a 0.50 to 1.50 range, or a 0 to 50 range, or something similar. All will call this “Trim”. Using the 0.50 to 1.50 range as an example, 1.00 would be considered the optimum setting. When you reduce your Trim from 1.00 to 0.85, you have reduced arc length and, in doing so, reduced weld voltage. Similarly, when you increased Trim to, say 1.15, you’ve increased arc length and, in doing so, increased weld voltage. This is very similar to what you were doing all along on that old CV Mig equipment. When you reduced voltage, you were reducing arc length. Even with this new fancy equipment the age-old understanding that “Weld voltage has a direct relationship to arc length” doesn’t change. What’s different is that a Trim of 1.00 for a given electrode (type/dia.) will give you a completely different weld voltage when you change electrode, shielding gas or WFS. Most of today’s pulsed equipment will display average weld voltage as the equipment is welding, and some will continue to display it for a short period (seconds) after welding has stopped. This feature helps the welder monitor compliance to the weld procedure (WPS). What are the negative effects of whipping or weaving? “We Mig weld carbon steel materials 1/8” thick and greater. 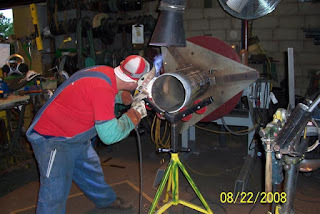 Our Welders use a whipping technique that you have described as a bad work habit. What are the negative effects of whipping or weaving? As with many welding techniques, there is a time and place for everything. Watch most robotic applications and you’ll see a constant weaving motion (side to side). Observe as a Fitter puts a 6010 root pass in a pipe and you’ll notice a distinct whipping action (fore and aft). This movement is perfectly acceptable for these applications. The robot uses the motion to find its way. 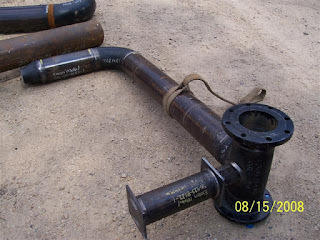 The Pipe Fitter uses the “fast freeze” characteristic to burn away the land and place the root perfectly at each whip. In production GMA (Mig) welding those same techniques can have negative affects on your finished product. 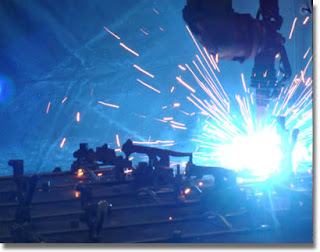 Weaving with the Mig process is a common technique when welding vertical up. It can be difficult to carry the puddle up without the weave technique. A slight weave is common when Mig welding in other positions, but slight should be defined as 2-1/2 x the electrode (wire) diameter. With an 0.035 diameter wire that is about 1/8” of movement. Exceeding that can lead to overlap, undercut and other undesired conditions. Multiple stringer passes should be considered when additional bead width is needed. 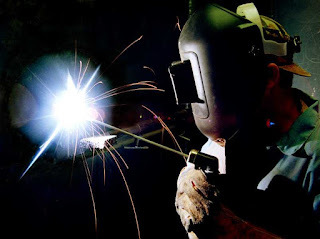 As for whipping when Mig welding… There are times when whipping is used to bridge a gap, but often the Welder would be far better off turning the welder down to a short circuit transfer and applying that root. Again, a slight whip is common but slight in this case should be defined as 1-1/2 x the wire diameter. If the key to quality Mig welding is keeping the arc on the leading edge of the puddle, then the whip technique goes against that. When a whip is excessive weld throats can be undersized and weld spatter is increased. Each time the Welder backs the arc up away from the leading edge the wire is driven into the molten metal and spatter increases. This will require removal and increases the cost of your product. Not all welders are AWS Certified Welders. Certified welders are tested at an accredited test facility and their records need to be strictly maintained within AWS QC7-93 guide lines. QC7 is the AWS “Standard for AWS Certified Welders”. So where does Joe go to find a certified welder? My first suggestion was to contact the nearest “Accredited Test Facility”. The AWS maintains a list, online, at http://files.aws.org/certification/docs/auto/atf_listing.pdf The closest facility for Joe was in Tacoma, WA. With a little help knowing where to look and the right questions to ask, Joe was able to get the 40 SUV’s on his lot repaired so his sales team could feel confident and start moving them. If you want to know how you can become “Certified” log on to http://www.aws.org/w/a/certification/index.html There are AWS certification programs for Welders, Inspectors, Supervisors and more. Certification can open doors, present opportunities (like Joe’s) and put you out front in a tough job market. 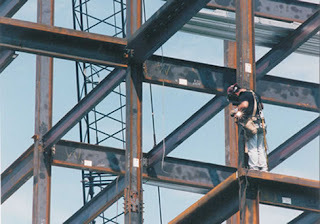 Recently I was given a weld procedure specification (WPS) from a contractor to review. It’s still lying on my desk. Do you have any tips for a beginner like myself on how to review a WPS? It's time to pick up that WPS off your desk and give it a good, hard look. The first thing you need to arm yourself with is the correct code or standard. The WPS is going to state which code or standard it complies with. You most likely need to get familiar with ASME Section IX or AWS D1.1 Sections 3 and 4, or both. Does it reference a procedure qualification report (PQR), or is it considered prequalified? It is important to make sure that the WPS states how it was qualified. 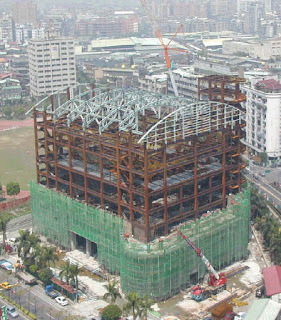 Review the joint design. Does the joint on the WPS match the joint referenced? Is backing required? Is the joint within the stated tolerances? Ensure the base metal of the joint matches the base metals listed on the WPS, which may require a little homework. Your code should list materials by group or P-numbers. Also review the filler metal/flux/shielding listed and witness which is used. Are there preheat or postweld heat-treat requirements? How will you measure them? 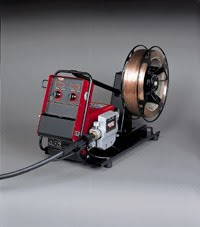 Are the welding parameters such as current, voltage, travel speed, and number of passes being used within the range of the ones that are listed? How will you measure them? 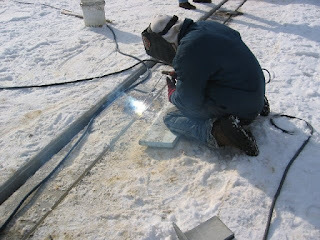 A WPS is really a recipe for how a particular weld is going to be made. All the ingredients need to match, and when they don't, even beginners need to stand up and get the attention of someone who will get your welding back on track. Don't be intimidated by a WPS. Break it down section by section, and simply ensure that what is noted matches what is being done on your project.